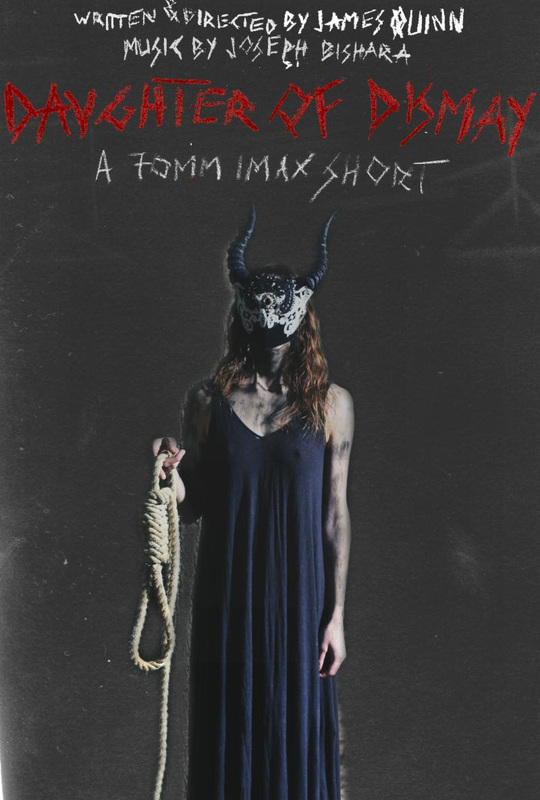 Austria –Sodom & Chimera Productions has revealed the first tease for Daughter of Dismay, the first narrative short to be shot in 70mm IMAX. The film will be an epic, moving and emotional trip through a world of witchcraft and occultism, focusing on a different kind of witch than usually portrayed in media, one that doesn’t focus on cliched depictions of devil worship, but on a much deeper and more human side. Directed by arthouse horror veteran James Quinn (Flesh of the Void, The Temple of Lilith) and produced by Justin Schenck (Swordfish, Fox’s “The Exorcist”), Daughter of Dismay included behind the scenes talent including composer Joseph Bishara (The Conjuring, Insidious, Annabelle), Kodak award-winning director of photography Ben Brahem Ziryab (The Negative, Room for Rent), sound engineer Steve Maslow (The Empire Strikes Back, The Thing, Beetlejuice) and foley artist Martin Langenbach (The Perfume, The Autopsy of Jane Doe, Goodnight Mommy). Daughter of Dismay tells the surreal and mystical tale of an emotionally broken witch. She enters the darkness of the woods to fulfill her biggest desire, for which she takes extreme and radical measures that will have sinister consequences. Portrayed in elegant painting-like images, the film is an epic, moving and emotional trip through a world of witchcraft and occultism, leading to a heartbreaking and melancholic finale.